When building a computer for a specific task or workflow, there are seemingly infinite options when configuring the hardware. Intel, just one single manufacturer, makes hundreds of different processors alone from which to choose. “Well, what about RAM? That should be fairly straight forward, right?” you might ask. “It’s the size of the cache that matters and nothing else, right?” Wrong. Like the rest of the components in your computer, the RAM or Random-Access Memory, presents you with a few important choices when deciding on which chips will act as the short-term memory for your computer. However, in this article, we’re just going to focus on the distinction between ECC RAM vs Non ECC RAM. ECC or Error-correcting code RAM detects and corrects the most common kinds of internal data corruption. The infrastructure of ECC memory is such that it is immune to single-bit errors. These are errors that occur in tasks that are controlled by binary code, but errors that occur when reading code that is multi-bit, i.e. information that is a combination of various bits of binary code for a single task, will still cause a crash. Think of it like this; there’s a bouncer at the door with a never-ending line of people trying to get into the watering hole. In this analogy, one person represents one bit. Each bit of info presents its name to the bouncer, and if it matches the name on the bouncer’s list, the bit of info passes. This way, it’s easy to be able to find bit-mismatches and throw the bums out. However, when a large group of bits try to blast past the bouncer and their collective name isn’t on the list, the bouncer is forced to shut down the whole establishment, i.e. computer crash. When considering Non ECC RAM, there is no bouncer, so any mismatches, binary or otherwise, can potentially cause instability. At this point you might be asking, “How does this help me choose between ECC RAM vs Non ECC RAM?” What does this all mean and how does it affect your day-to-day computing? Well, that depends on the type of computing you routinely do. Manufacturers generally equip workstations with ECC RAM when consumer grade computers can typically do without for a reason. If your computer crashes during a World of Warcraft mission, it may seem like the world is ending. Fortunately, life goes on and a simple restart will get you back to where you were. However, if the work executed on a workstation is lost to a crash, that affects your bottom line. 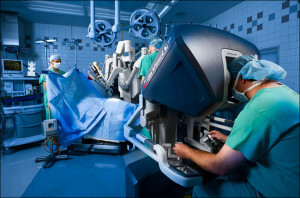 Furthermore, with the onset and growth of remote surgical procedures, a crash can be life-threatening. You don’t want a computer crash while under the knife because one single bit of info didn’t make it through. So, why even bother to make Non ECC RAM, you might ask? Why are we even having the ECC RAM vs Non ECC RAM debate? It’s only because RAM manufacturers have been at it so long that Non ECC, or standard RAM is surprisingly stable. In fact, in many benchmarks, faster* than ECC RAM because it is not actively searching out mismatches of data. 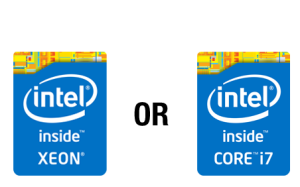 Secondly, certain processors are architecturally incapable of communicating with ECC RAM, including the highly popular Intel i7 family of processors. Thirdly, Non ECC RAM tends to be less expensive, which is always a consideration. However, if your processor supports ECC RAM, we recommend pairing it with the Error Correcting variety whenever possible. 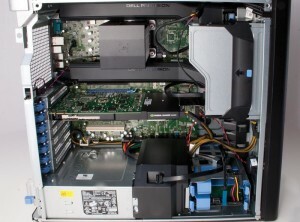 This includes the Intel XEON line of processors. Do we trust Non ECC RAM? Yes, you bet we do. In fact, since we spec every laptop and a handful of desktops in our line with the aforementioned i7 family of chips, we’ve grown to rely on this type of RAM just as heavily as ECC RAM. This type of RAM is still very stable and rarely the smoking gun when these computers do crash. But our goal at SolidBox is always two pronged: to provide you with best-in-class performance and reliability. Therefore, when we select a processor for a system that supports ECC RAM, that’s our choice every time. Please feel free to contact us today to discuss your specific workflow, and we’d be glad to assess whether you’ll benefit from a system with an i7 or a XEON processor. This decision will then influence whether or not your new system will come with ECC or Non ECC RAM. * Crucial has a statement on their knowledge base that ECC memory will decrease your computer’s performance by about 2% compared to standard memory, but we rarely find this to be the case. For an amazing reference on the actual performance benefits of ECC RAM vs Non ECC RAM, read this comprehensive article that explores several different benchmarks for a number of different programs. Next Next post: SolidWorks World 2015 Proceedings Now Available!